This is Part 4 of an on-going series on the homes and libraries of U.S. Presidents. Part 1 covers the Federalist / Colonial era, from George Washington through John Quincy Adams. Part 2 offers information on the homes of the Jacksonian era presidents, from Andrew Jackson to James K. Polk. Part 3 covers the pre-Civil War presidents, Zachary Taylor through James Buchanan. Part 5 is dedicated to Andrew Johnson and the many home sites of Ulysses S. Grant. 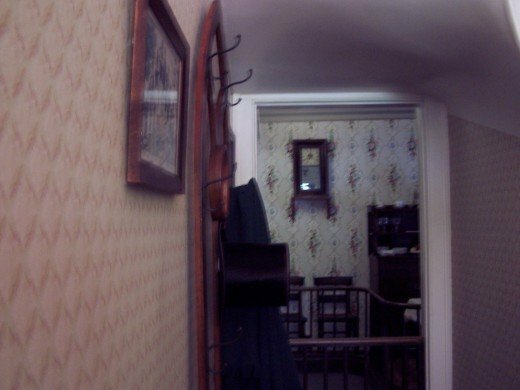 Each installment in the Homes of the U.S. Presidents has covered birthplaces and houses of multiple presidents, but Abraham Lincoln is the only president in Part 4. Usually regarded as one of our two most important presidents, along with George Washington, he is also one of our nation's most popular presidents--and Lincoln researchers and preservationists have saved or replicated many of his lodgings. Three states claim to be the "home" of Lincoln: Kentucky claims his birthplace; Indiana calls itself the "boyhood home of Lincoln"; and Illinois just calls itself "Land of Lincoln." Abraham Lincoln was born in a small log cabin to farmer Thomas Lincoln and his wife, Nancy Hanks. A few months before Abe's 1809 birth, newly arrived from Elizabethtown, Kentucky, Thomas purchased Sinking Spring Farm, near what is now Hodgenville, Kentucky. The name of the 348-acre farm came from a spring that is on the property. It was the source of the Lincoln's water, and it is still visible today. Thomas built a rough one-room, one-window cabin on the rocky farm for himself, his pregnant wife Nancy, their daughter and coming infant. Unfortunately, the farm was tied down in murky deeds and liens, and Thomas soon moved the family from Sinking Spring to Knob Creek Farm. Shortly after Lincoln's assassination, a photographer shooting the area for a publication found the rocks from the Lincolns' Sinking Spring stone chimney and two pear trees presumably planted by Thomas. In 1894, Rev. James Bingham and Alfred Dennett bought the land, hoping to make money on Lincoln's birth site. From storage at a neighboring farm, they moved back what is claimed to be the original cabin and re-constructed it on the original site. In the late 1890s, Lincoln's birthplace went on a grand adventure. It was shown alongside the supposed birth cabin of Jefferson Davis in Nashville, then both the cabins were transported to Buffalo, New York, for the Pan American Exposition in 1901. From there, they went to a basement on Long Island for storage. Logs of what are now called the "Symbolic" cabin were found in 1905 in the basement of an old mansion in College Point, New York, and purchased by the newly formed Lincoln Farm Association. During the trip back to Sinking Spring, the logs were guarded by armed soldiers. Thousands turned out at each train stop to see the “Lincoln Logs." 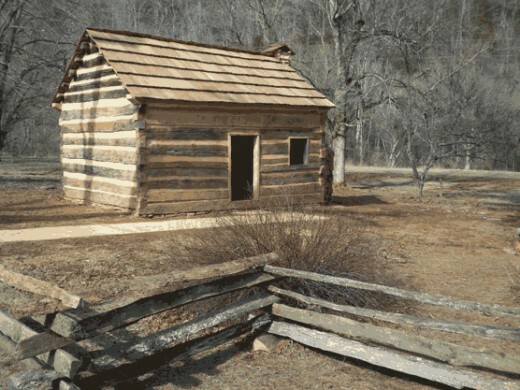 Because no one is really sure if the logs used to reconstruct Lincoln's birthplace home are truly the original logs, the cabin you see at the Lincoln Birthplace is considered a "symbolic cabin." Like the original, it has a door, one window and one room with a stone fireplace. However, it is slightly smaller than what the original is thought to have been. The granite and marble shrine that was built over the symbolic cabin was made possible through the Lincoln Farm Association's ongoing fundraising efforts. President Theodore Roosevelt laid the cornerstone in 1909, with 12,000 people in attendance. President William Howard Taft attended the dedication of the finished Greek-style temple on Nov. 9, 1911. Designed by architect John Russell Pope, the building sits atop 56 steps, one step for each year of Lincoln's life. In 1916, the Association deeded the building and land to the Federal government. President Wilson accepted the deed in a speech on Labor Day 1916, after which the building and farm became a National Park. Among the family heirlooms and relics on view at this site are the Lincoln Family Bible, with Thomas Lincoln's signature and Nancy Hank Lincoln's mark. The Lincoln Birthplace National Park is wonderful way to stretch those legs on any trip south or north on I65. Not too far to the east of I-65, the site is a must for Lincoln fans visiting or passing through the area. After leaving the Sinking Spring farm, the Lincoln family built another log cabin on a farm named Knob Creek after a nearby stream. Knob Creek was a fertile 230-acre farm and was the birthplace of Abe's younger brother Thomas, who only lived a few days. It was the first home that Abe remembered, stating in an 1860 letter that "The place on Knob Creek ... I remember very well; but I was not born there .... My earliest recollection, however, is of the Knob Creek place." According to Lincoln's memory, he and his sister were sent off-and-on to what was called an "A-B-C school," where basics were taught by rote memorization. The Lincolns lived here for about 5 years, until about 1816. Only just purchased in 2001 by the National Park Service, Knob Creek had been owned for generations by one family. The farm features a replica of the Lincoln log cabin. This cabin was built around 1931 from logs from the home of Abraham's boyhood friend Austin Gollaher. Period pieces, donated by descendants of early Kentucky settlers, are used throughout the cabin. If you are in the area of the Lincoln Birthplace, then a stop at his Boyhood Home, a place actually remembered by Lincoln himself, is a must. 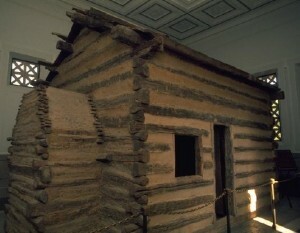 While you do not see actual Lincoln artifacts, the cabin is located on the actual site of the original cabin. Only twenty miles away is Jim Beam Distilleries, which distills Knob Creek Bourbon, named for the creek that runs through Lincoln's property. Indiana has always held on tight to its link to Abraham Lincoln. 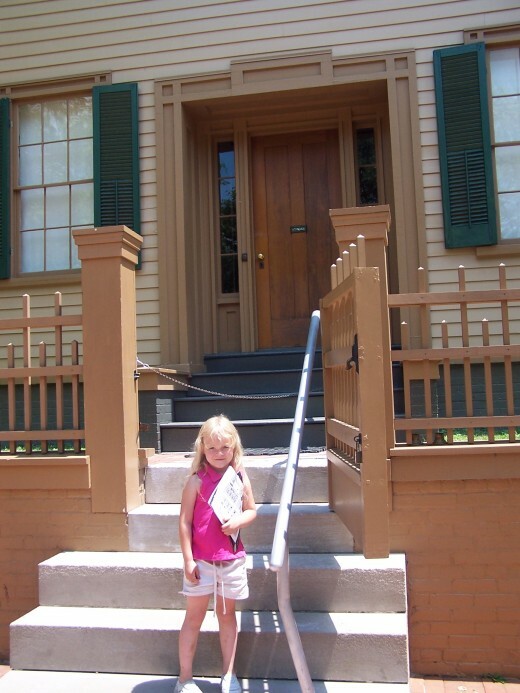 While William Henry Harrison's "official" home is located in Vincennes, and his grandson and 23rd president Benjamin Harrison's home and museum is located in Indianapolis, it is of Lincoln that Indiana children are taught. Back in the days that the Lincoln National Life Insurance Co. was a major employer in Ft. Wayne, Indiana, it developed a highly respected Lincoln museum in its lower level*. Scores of children, including myself, were shepherded through on field trips. While that 4th grade trip was a few decades ago, the memory of seeing the campaign posters, newspaper front pages proclaiming an election and a death, Lincoln coins and more are surprisingly fresh in my mind. Yes, we were raised that Lincoln was "ours". Very little, if any, mention was given to the fact that he actually came to maturity and success in Illinois. Lincoln, his parents and sister arrived in Perry (now Spencer) County, Indiana, in 1816, after continued land title "complications" in Kentucky. When Abraham was 9, his mother died from what was called milk sickness, a result of drinking milk from a cow who has eaten white snakeroot. His father remarried quickly, as was common then for widowers with children, and Abraham became close to his step-mother Sarah. The family lived on the Indiana farm for nearly 15 years. They left for Macon County, Illinois, in 1830, at the beginning of another milk sickness scare. Today, the National Park Service runs a Living History Farm, from mid-April through September on land that was, in part, owned by the Lincolns. The farm does not include any of the original structures from the family's years in Spencer County, but it does include Nancy Hank's gravesite and a bronzed cabin site memorial (see photo to right). In 1917, with assistance from its older residents, Spencer County identified what it and nearly 20 senior residents believed to be the site of the Lincoln's cabin and out structures. 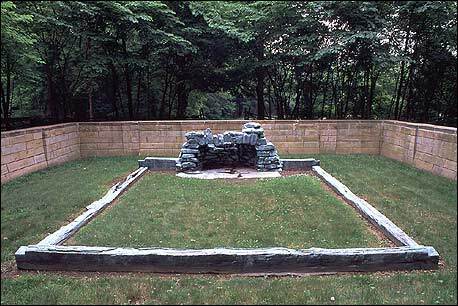 Unlike other memorials, Spencer County believed it to be inappropriate to recreate the cabin on the original site and, instead, commissioned this bronze memorial. Nancy Hanks' gravesite has been carefully tended since 1868 and, since 1902, marked with a monument carved from discarded stone from the Lincoln tomb and memorial in Springfield. The Living History Farm features staff in historical dress who demonstrate daily work on the farm and stress the importance of self-sufficiency for pioneers. Activities range from domestic chores and farm animal care to farming, gardening and other chores that would need tending to during the specific season. The farm demonstration is basically real-life farming during pioneer times. During the off-season, visitors can tour the grounds and view the closed buildings from the outside. 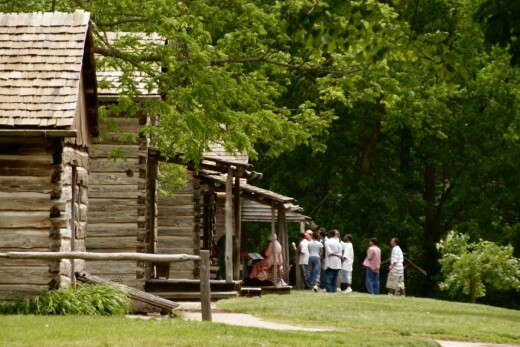 Located about halfway between I65 and Evansville, Indiana, the park and memorial are recommended to Lincoln history buffs and to families traveling in Southern Indiana during the Living History Museum's active months. 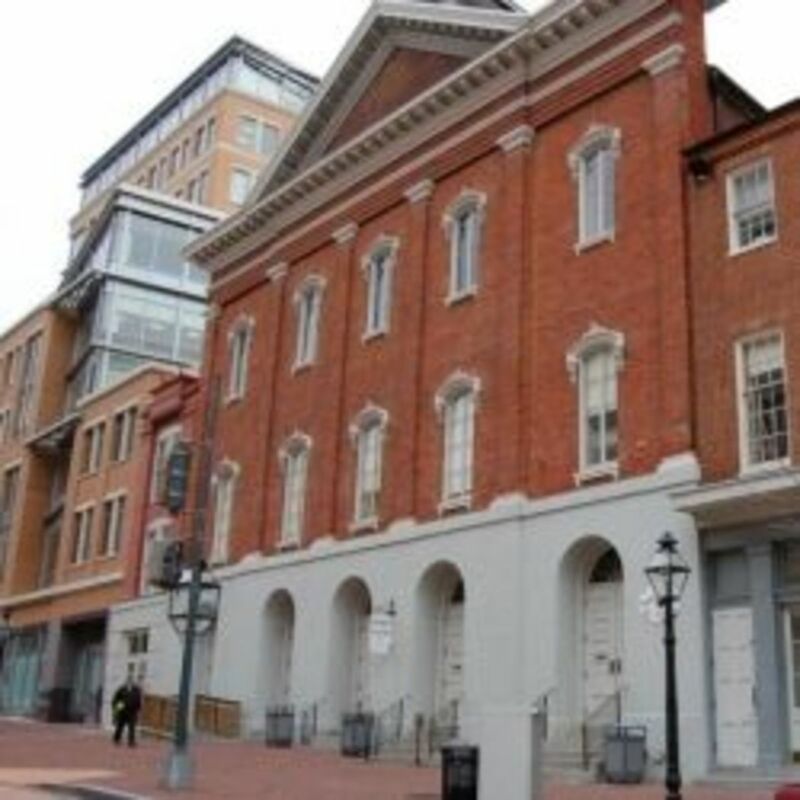 (*Unfortunately the Lincoln Life museum's artifacts were distributed to other Lincoln museums, most notably the new one in Springfield, upon its recent closing and the further reduction of Lincoln Life by its parent company). Now having lived in Illinois for more than 20 years, it is hard for me to imagine Lincoln living anywhere else. Our state motto is "Land of Lincoln." And Lincoln is everywhere, from a major NW/SE avenue that cuts through Chicago and into the suburbs (Lincoln Avenue) and our Illinois license plates to the infinite historical markers noting "Lincoln spoke here" or "Lincoln slept here." In Chicago, the site of the Wigwam, where Lincoln was nominated for the presidency, is marked with . . .wait for it. . . a historical marker . . . and also called out by Chicago River boat tour guides. Basically, there are two Illinois Lincolns: Abe, the young adult poling his raft down the rivers, educating himself, and running a store in New Salem while winning the heart of the ill-fated Ann Rutledge; and then, Abraham Lincoln, the successful Springfield lawyer, politician and family man. 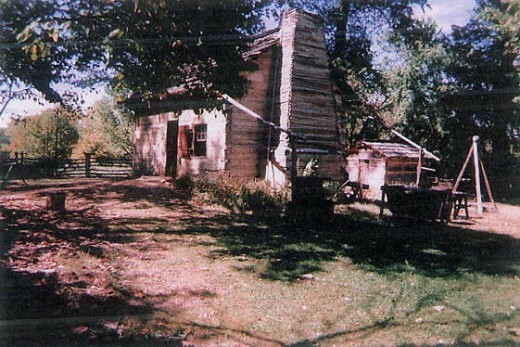 Young Lincoln parted ways with his father at Macon County in 1831, when his father took the rest of the family, including step-brothers and sisters and their families, to what would be their final farm in Coles County, Illinois, now known as the Lincoln Log Cabin State Historic Site (although Abe did not accompany them there). Abraham was tired of wandering and, at 22 years old, was ready to be his own person. He went his own way. 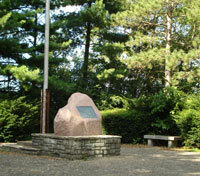 Thomas Lincoln's Macon County cabin is long gone, but the Lincoln Trail Homestead State Park marks its location with a plaque on a large pink granite rock. The Illinois city of Decatur, southwest of Chicago, in Macon County, features several other ties to Lincoln as a young man and as a politician, many of which are commemorated as statues of Lincoln in various poses. The Macon County Historical Museum helps preserve area ties with Lincoln through its Prairie Village Complex, which features the log courthouse where Lincoln argued several legal cases. Additionally, the complex features an 1860s one-room school, an 1850s log house and period buildings, and a 1922 caboose. Prairie Village is a great day trip for Chicagoans and a satisfying destination for Lincoln enthusiasts. After earning the first money of his own by steering a cargo flatboat down the Mississippi River, Lincoln returned to Illinois on foot and settled in the young village of New Salem as a shopkeeper. In addition to the mercantile business, Lincoln served in the Black Hawk War, was the village postmaster and land surveyor, and also split rails for a living. He took meals at a boarding house and slept most nights in his store or in a rented tavern room. It was here that Lincoln courted Ann Rutledge, whose father helped found New Salem. Some Lincoln scholars believe Rutledge was the love of Lincoln's life, and one of his episodes of deep depression is attributed to her death in 1835 from typhoid. New Salem was abandoned by 1840 because the Sangamon River was not compatible to the steam boat navigation. Today, New Salem is a thriving living history museum. Workers in the Great Depression rebuilt the town on its original foundations. 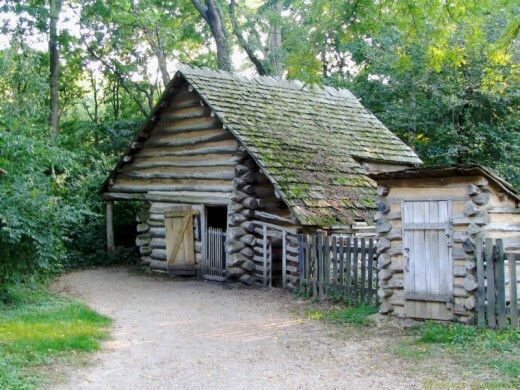 The park features log buildings and costumed interpreters, representing the years of Lincoln's residency. Twenty-two of the buildings are reconstructed. But one log cabin, the Onstot Cooper Shop, is original. It was moved by Henry Onstot from New Salem to Petersburg in 1840. In 1922, it was returned to New Salem on what is believed to be its original foundation. Springfield, Illinois, is mecca for Lincoln scholars and fans. 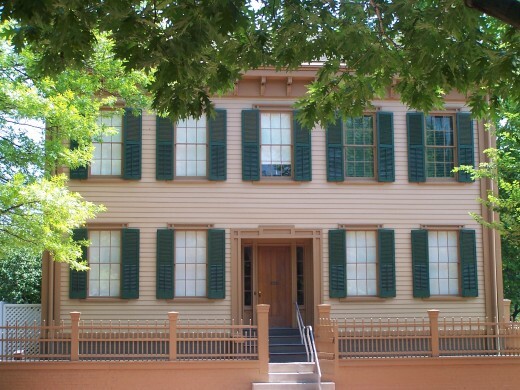 The home of Abraham and Mary Todd Lincoln and their boys is beautifully preserved. In fact, the National Park Service owns and operates not only the Lincoln Home but also the homes in the immediate area around the house. The Lincoln Home National Historic Site was my first adult experience with a National Park Service presidential home--and I was completely impressed with the experience. The guided tours are incredibly informative, and the park rangers are enthusiastic Lincoln fans and knowledgeable historians. Sidewalks are raised and boarded as they would have been in Lincoln's time. The immediately surrounding neighborhood streets were stripped down and filled with brown gravel to resemble dirt. Not only has the NPS preserved the Lincoln home, but it has also renovated neighboring homes to their appearance during Lincoln's years in Springfield. Archeological digs have turned up pottery and other artifacts from, basically, the Lincolns' garbage, giving us a glimpse into the family's household goods, from dishes and drinking glasses to utensils and wash basins. Since 1834, Lincoln had represented Sangamon County in the Illinois General Assembly. He was a supporter of moving the capital from Vandalia to Springfield, where he came to live in 1837. Two years later, the young lawyer met Mary Todd, who had just arrived from her hometown of Lexington, Kentucky, to live with her sister Elizabeth Todd Edwards, daughter-in-law of a former Illinois governor. After cold feet and one broken engagement, Lincoln and Todd married on November 4, 1842. While preparing for the wedding, Lincoln was asked where he was going. He famously replied, "To hell, I suppose." After the birth of Robert Todd Lincoln on August 1, 1843, the young family moved from their boarding house to a rented three-room cottage at 214 South Fourth St. The next spring, Lincoln bought the Dresser home on the Eighth Street for $1,200 cash as well as a small lot worth $300. Like other husbands in the neighborhood, Lincoln chopped wood, carried water, milked the cow, and did the rest of the husbandly chores of those days. To maintain a positive cash flow, Lincoln rode the Eighth Circuit horseback, covering nearly 12,000 square miles, with far-flung county seats located on bumpy roads. In 1846, Lincoln was elected to the U.S. House of Representatives as a Whig, and second son Eddie was born. The family rented out their home and set off for Washington, where they lodged in a boarding house. Mary did not get along well with fellow boarders and was generally so unhappy that she and the children returned early to Springfield. 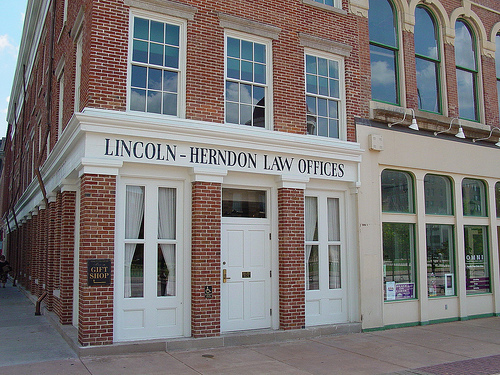 After Lincoln's return in 1849, he resumed his law practice with longtime partner William Herndon. For twelve more years, the Lincoln family lived in their Springfield home. Lincoln practiced law with Herndon, and Mary was known for her large social parties. In 1850, Eddie died after a long illness. However, the birth of Willie in December 1850 was a comfort to his mother. Tad followed in 1853. As the family expanded, so too did their home. In 1856, the Lincolns built a full second floor addition. 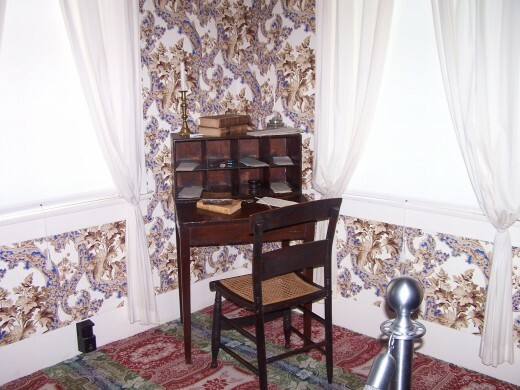 Along with the Abraham and Mary's bedrooms, the boys' bedrooms are all furnished and available for tour, as are the two front parlors, dining room and kitchen. The backyard features the stable and even the privy. Yes, the outhouse where Lincoln sat is there. Upon my last tour in Springfield, I noticed this was a huge hit among 3rd-7th graders (as well as some adults). For the record, it was a three-seater, which with three little boys in the house was probably a necessity. After Lincoln was elected President in 1860, the family sold most of their furnishings and possessions--but not the house itself--at a moving sale. Many pieces were bought by a Chicagoan and lost in the Chicago Fire. 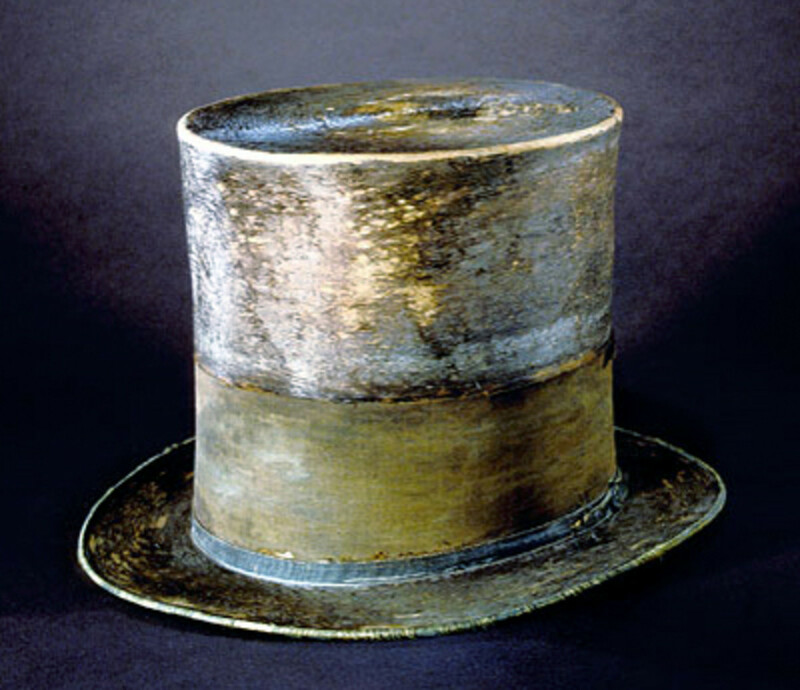 However, others survived and have been reclaimed by the NPS, including, importantly, an authentic Lincoln stovepipe hat. After Lincoln's assassination, Mary refused to return to their home, opting to have eldest son Robert manage the rental of the property. After her death, Robert, who lived in Vermont, deeded the property to the State of Illinois for $1. His only requirements were that it be kept in good repair and “free of access” so that anyone who wanted could visit his father’s house. In 1972, the house was transferred to the National Park Service. 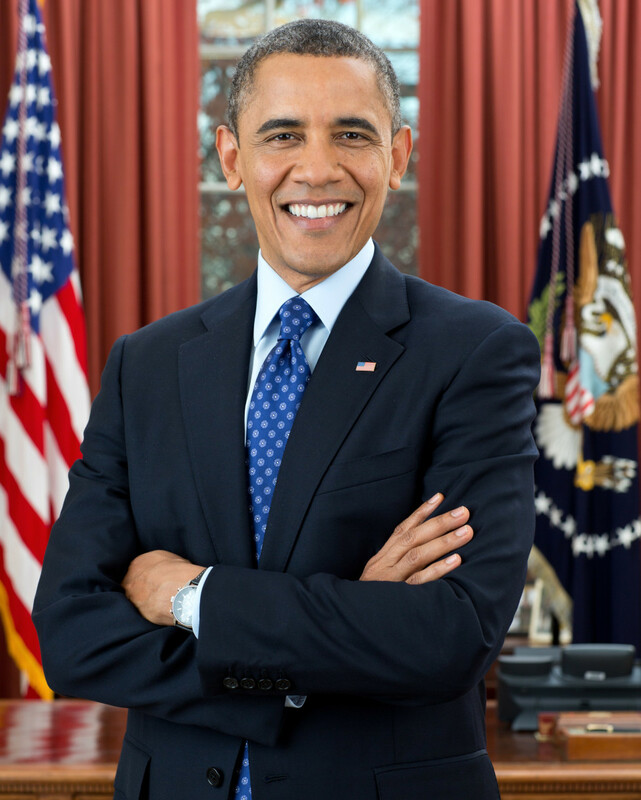 Through the years, many U.S. Presidents have visited the home, as well as foreign dignitaries. A renovation restored the offices to how they would have appeared in the 1840s-50s, when Lincoln and Herndon were partners. Hours vary by season, so call 217-785-7289 before your trip. 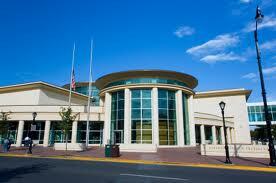 The Lincoln Library & Museum is a mecca for historians and for families. The Library serves as the official Illinois State government repository for materials relating to state history. It is a highly regarded, non-circulating research library. Part of the library is the Lincoln Presidential Library, the world's largest holding of the papers and possessions of Abraham Lincoln and his family. The collection began in the 1890s as part of the Illinois State Historical Library, and new items are continually acquired. Recently completely rebuilt, the Museum is now a technological marvel, appealing to children and adults and featuring 12 specific areas on its map. A "Treasures" gallery features items from the Lincoln White House, including the presidential china, as well as such amazing personal belongings as pages from his first "sums" book, in which he taught himself math. 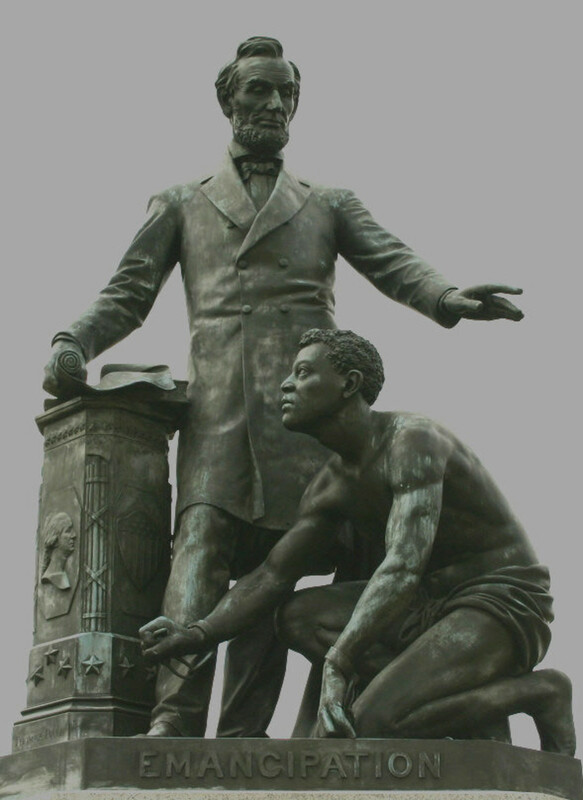 The center Plaza features life-sized mannequins of the Lincolns and other related figures. 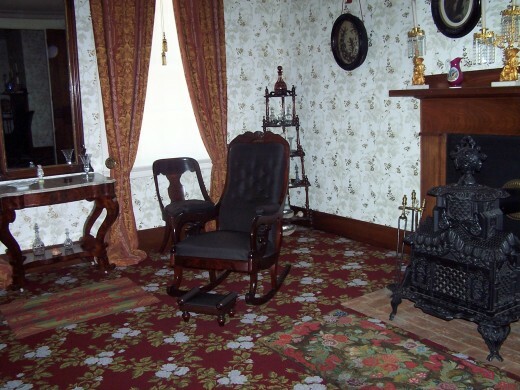 From here, visitors move to other locations, such as "Mrs. Lincoln's Attic" (an area for young children), "Journey One: Pre-Presidential Years" and "Journey Two: Presidential Years." "Ghosts of the Library" features holographic images of Lincoln and his contemporaries and explains what exactly a presidential library is all about. This Museum is a must-see for anyone visiting Springfield. The Lincoln tomb is a 117-foot tall granite memorial holding the bodies of Abraham, Mary, and three of their four sons -- Edward, William and Thomas (Tad). Robert planned to be buried there, but was buried in Arlington National Cemetery, at his wife's request, along with their son Jack. Visitors often stop to rub the nose of a bronze Lincoln bust at the entrance, which is the work of Gutzon Borglum, most famous for his Lincoln at Mount Rushmore. The inside of the memorial features bronze statues of Lincoln in different eras of his life. A hallway leads to the burial chamber where Secretary of War Edwin Stanton's famous words, uttered at Lincoln's deathbed are enscribed: "Now he belongs to the ages." 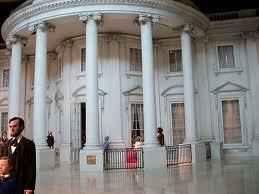 A red marble marker stands above the area where Lincoln's coffin lies in a steel and concrete-reinforced vault. Designated a National Monument by President Clinton in 2000, President Lincoln’s Cottage opened to the public for the first time in 2008. It served as the Lincoln family's residence for a quarter of his time in office and is the most significant historic site directly associated with his life in Washington, aside from the White House. President Lincoln’s Cottage is located on the grounds of the Armed Forces Retirement Home in northwest Washington, DC. In addition to President Lincoln’s Cottage, the adjacent Robert H. Smith Visitor Education Center, features related exhibits and media presentations. Great and thorough hub for Lincoln fans such as myself. Thank you.